Are you looking for a slim vegan wallet that can actually hold a lot of stuff? Then you've come to the right place. We've rounded up 10 options that you're going to love without any real leather or other animal products. 9. 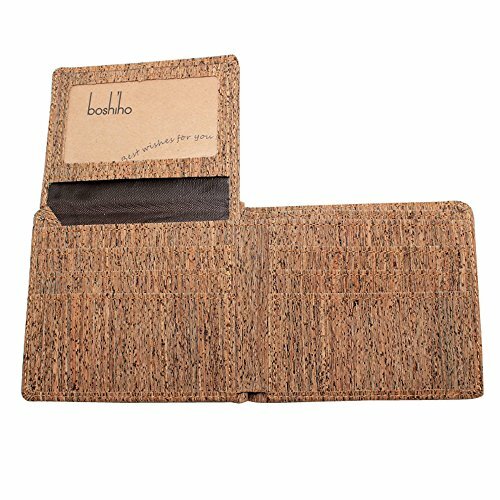 Unisex Charlie Multicolor RFID Slim Wallet by Herschel Supply Co.
Hardwearing and gorgeously patterned, Boshiho's unisex cork wallet displays the beauty of natural cork with artfully arranged bark shavings. 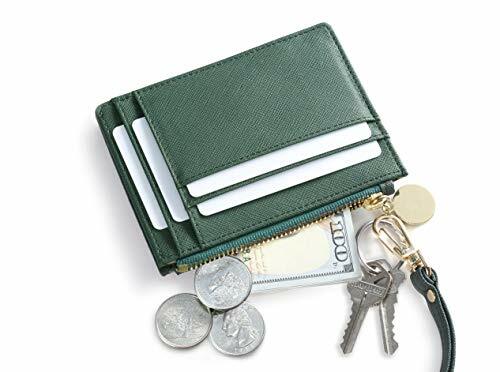 Designed with two bill compartments, six card slots, two hidden pockets and a nifty flip-up ID slot. Pros: This wallet is for anyone looking to update their style. We're impressed with its use of space from the flip ID section to the hidden pockets. A slim wallet doesn't have to sacrifice carrying capacity. Cons: It's tough to find a con with this beautiful wallet, but the maker does state that every wallet will look a little different. That makes for a truly unique cork wallet, but you also can't predict its exact design. This slender wallet will fit like a dream in your pocket. Made of black vegan PU leather and boasts less than half an inch thickness. Advertised as RFID-blocking to keep your data safe in your wallet. 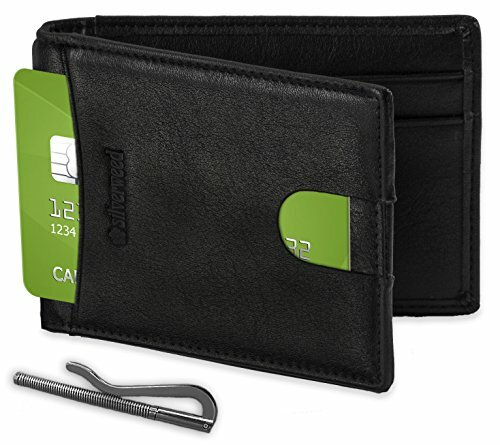 Built with multiple card slots, an exterior ID window, hidden pockets and a removable money clip. Pros: They thought of nearly everything for this wallet. It's compact with plenty of convenience features, including a quick-draw ID solution. Cons: We're not sure how functional the RFID-block system is. 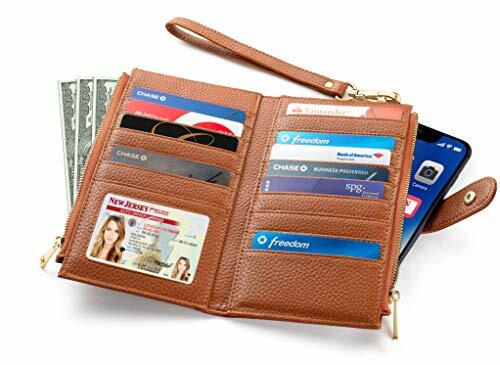 Long and lean, this women's tan faux leather wallet won't take up too much room in your bag. Constructed with a whopping 17 card slots, an ID window and a zip pocket. Comes with a removable wrist strap for easy toting. Pros: Store your phone and all your debit and coffee cards in one place. According to the vendor, it's spacious enough for large iPhones and Samsung Galaxies. Cons: Like with other RFID-advertised wallets, we can't be sure how well the technology works. 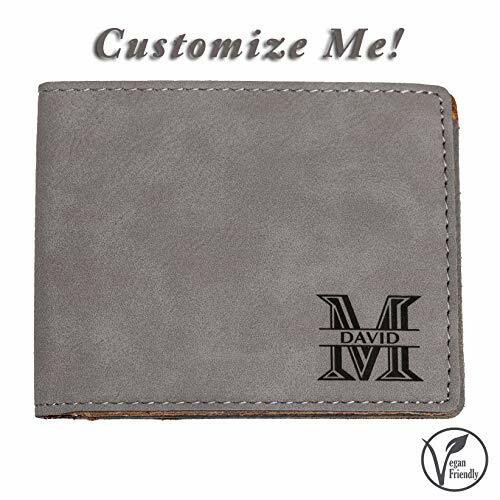 Whether you're looking for a gentlemanly gift or a new wallet for yourself, this gray vegan leather wallet is fun to customize with your name in traditional lettering stamped in the corner. Can fit in your front or back pocket. Pros: If you're hunting for cool groomsmen gifts, these wallets add a personal touch that make them especially memorable. Cons: The wallet doesn't offer a ton of space, though it is well-organized inside. Super strong Tyvek makes this wallet durable. It's user-friendly with six card slots and two roomy slip pockets. 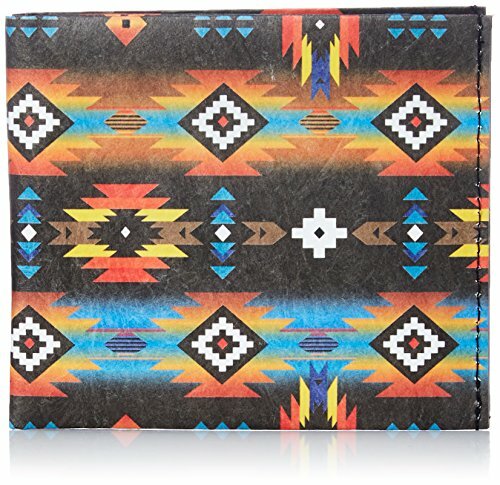 Features eye-catching Southwestern print in bright rainbow colors. Flexible and expandable to accommodate more cards and cash. Advertised as vegan: No, but Tyvek is a vegan material. Pros: Tyvek is tough, so this wallet should last. It's a nice change-up from the standard plain wallet if you get tired of the same ol' same ol'. Cons: Not everyone digs a busy pattern. This cheerful wallet economizes space like nobody's business with a thin construction, 11 card pockets, an ID window and four spacious slip pockets. Artist-designed with bright florals and leaf shapes and trimmed in gold polyurethane material. Shuts securely with a metal snap button. Advertised as vegan: No, but it's made from jute, cotton and polyester. Pros: It's totally unique and sure to brighten up your day. With a bountiful card area, you should have an easy time of transporting all the necessities and then some. Cons: Some reviewers report some difficulty with the snap closure, possibly owing to its placement by the ID slot. Tuck your bills into the money clip on the back of this black faux leather bifold wallet for fast access. Complemented by a contrasting tan interior. Made with inner and outer card pockets. Advertised as vegan: No. But it's faux leather. 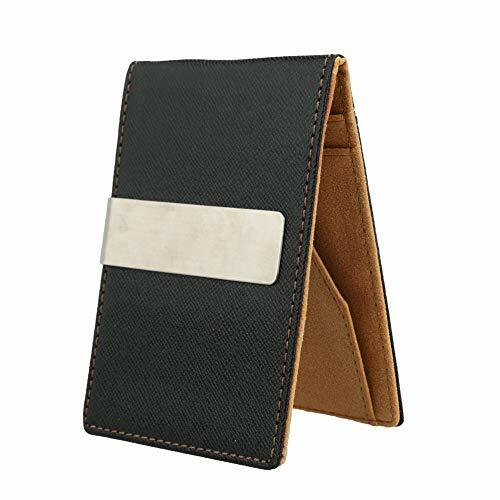 Pros: With all the exterior card storage, this wallet is great for the man on the go. For that price, you can get it as an extra wallet and choose the one you want to use based on the day's activities. Cons: There's limited organization inside. Smooth vegan leather in a gorgeous emerald jewel tone makes this pretty wristlet wallet sophisticated. Made with a zip top compartment and outer card pockets. Pros: Whether you put it in your pocket or your bag, it'll fit and won't make a peep. It can be especially helpful in places like the airport where you need to get in and out of your wallet for ID and tickets somewhat frequently. Cons: It could be a little small for everyday use. It would be best utilized as an additional change and travel pouch. Combining a little camo print with complementary red and blue, this unusual wallet from trusty outdoor accessory company Herschel Supply Co. is tough and slender for anytime, anywhere use. Made with card slots on both sides as well as a main compartment in the middle. Pros: People love the straightforward functionality of this wallet. It will definitely train you to reduce and simplify. Cons: It's unfussy but small, so don't count of saving all those receipts. This adorable wallet can be anyone's, really. 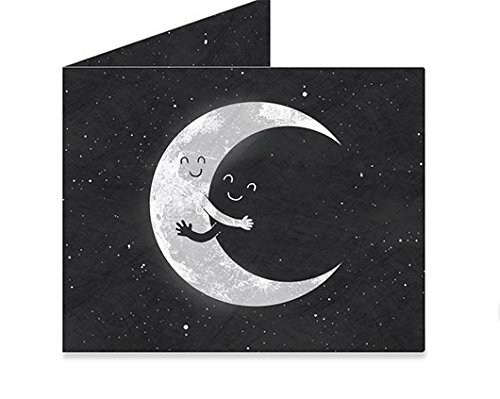 It's made of black Tyvek material and features a happy crescent moon sharing a hug with the night sky. Awww. Ultra thin and strong with tear-resistance. Advertised as vegan: No, though it's made with Tyvek, which is vegan. Pros: The fabric-like material really is thin—there's little chance of it feeling too snug like bulkier wallets even after you fill it. Bonus: it's water-repellent and tear-resistant, too. Cons: It may not be suitable for the individual with multiple bank and frequent buyer cards.